Hello! My name is Emily and I am a CE Junkie. At least that’s what we used to call it in dental school – it’s a term my school’s local Academy of General Dentistry chapter coined and used all of the time. Since graduating dental school and starting to work as a “real” dentist, I have actually missed the learning environment that school provided. I was doing complicated implant and prosthetic cases all the time in school under the watchful eye of excellent specialists. Today I am not doing as much complicated stuff. It’s pretty basic and unchallenging. And I miss it! I am worried that my dental knowledge is declining. Ask your local and state dental societies or AGD chapters what is going on! Usually there is a CE component to monthly or quarterly meetings that you can attend. This week I went to an awesome presentation about oral cancer at the Greater Columbia Dental Association meeting. Go to national meetings. At the end of February I was lucky to be able to take off work for a couple of days to go to the Chicago Dental Society Midwinter Meeting. If you join and pay dues, typically the registration fee is free and includes several CE courses. They also often have reduced rates for new dentists. Go online! The ADA website lists a lot of great CE courses happening all across the country. Periodically I check and long to get to go to a CE course someplace exotic. If you can’t get time off of work or you can’t afford to travel anywhere, online CE courses are also a great resource. Check out it out here. And new dentist members, who graduate fewer than 10 years ago, receive a 50 percent discount on ADA CE Online with promo code 482153. You can also check out some of my favorite websites like Dental Town or The Curious Dentist for CE resources. 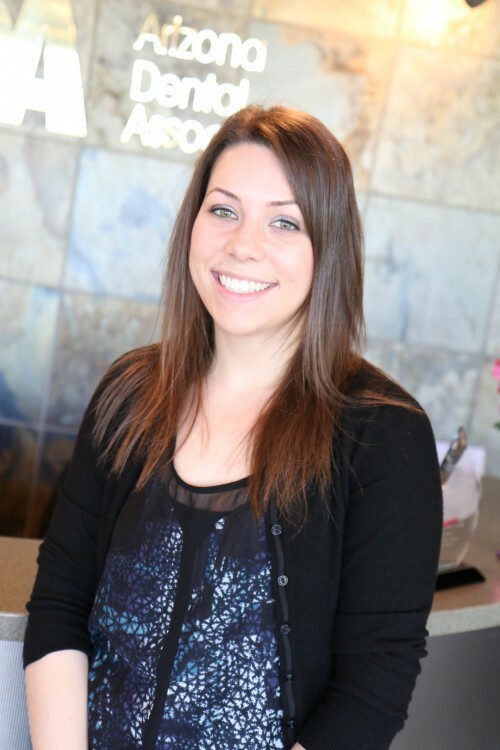 Dr. Emily Hobart is a New Dentist Now guest blogger and a member of the American Dental Association, the South Carolina Dental Association and Central District Dental Society. She is an estranged Canadian who grew up in Glendale, Arizona, where she attended dental school at Midwestern University. She is now finding her way as a new dentist in Columbia, South Carolina. In her free time, she loves running, rock climbing, pub trivia, karaoke and traveling! I agree with the importance of CE, I only seem to have time to do it remotely. It is important any which way. I really like this blog. Thanks. We offers quality Dental Implants Dallas TX. If you need to replace missing teeth, implants are a stable, fixed solution.